Discover more about private investigators capability, employment and regulations in Fort Lauderdale. If you need a Florida private investigator in Fort Lauderdale, the professional private investigators at ICS are ready to work for you to provide the discreet and confidential service you need. 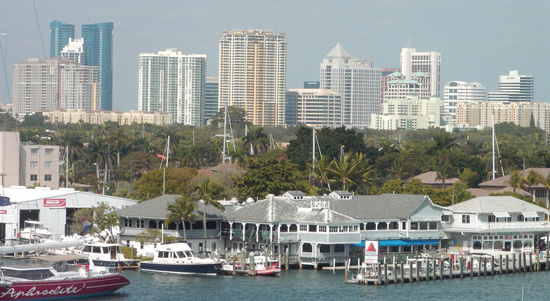 ICS and its diverse talent solution have been helping people in Florida just like you get results since 1967.
International Counterintelligence Services of Florida provides timely and discreet investigations across the greater Fort Lauderdale area, and we have local private investigators on site in Tampa. We utilize our vast global resources and cutting edge technology to conduct superior private investigations locally within Florida, and we take pride in our commitment to confidentiality. The Ft. Lauderdale area is only one of the areas served by our licensed private investigators; we also conduct investigations in Miami, St. Petersburg, Orlando, Tallahassee, Jacksonville, Tampa Bay, Clearwater, Pompano Beach, Palm Beach, Sarasota, Pensacola, and more. Call International Counterintelligence Services of Florida today at (866) 892-4410, or contact Toll Free 24 hour line at (888) 223-6494.
International Counterintelligence Services accepts most case types and provides a variety of services across the world. International Counterintelligence Services of Florida is based out of Tampa but works cases across the entire state, for clients that live or work in Florida, and those who reside outside the state or country and need a private investigation conducted in Florida. Our company employs highly experienced private investigators and sub-contractors, to conduct investigations in a manner consistent with the ICS Mission Statement. We work to keep your investigation affordable and discreet, and we conduct every investigation in a timely manner. If you need help catching a cheater, proving infidelity and extramarital affairs, locating a lost or missing person, finding a birth parent, or collecting evidence for a child custody, visitation, or support trial. The information that private investigators obtain is admissible in court, and PIs have access to information that civilians do not have. 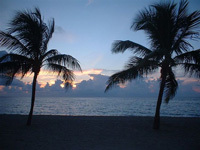 Our Ft. Lauderdale private investigators are available 24 hours a day, and accept cases of any size. Begin your free consultation by calling International Counterintelligence Services of Florida at (866) 892-4410. In addition to investigations, International Counterintelligence Services also provides an array of diverse services. Contact us when you need computer and cellular forensics, background checks, finger printing, and pre-employment screening. This is only a brief list of our most common case types and services; for a more comprehensive listing, please visit the Investigations We Solve or Services we Offer page. Take the first step towards getting the answers you deserve by calling International Counterintelligence Services of Florida at (866) 892-4410 for your free consultation today. For after hours calls, feel free to contact our Toll Free, 24-hour line at (888) 223-6494 or submit the online consultation form. We are an international private investigation agency that employs licensees and subcontractors in every region of the world. International Counterintelligence Services maintains offices throughout the country and works closely with subcontractors worldwide, which allows us to provide localized service to more areas of the world. This dedication to superior local service with strong international experience is a part of the ICS Mission Statement, and helps us provide the best possible service to all our clients. International Counterintelligence Services of Florida is owned and operated by Scott Hamilton, based out of Tampa. Mr. Hamilton is a licensed Florida private investigator (license no. A1100189) and Certified Fraud Claims Law Specialist. Prior to opening International Counterintelligence Services of Florida, Mr. Hamilton worked as a Deputy for 14 years with the Hillsborough County Sheriff’s Office. Mr. Hamilton is personally involved with all investigations conducted by International Counterintelligence Services of Florida, so you can feel confident that your case is being handled by an experienced professional. Contact us today to begin your free consultation for your Tampa or St. Pete private investigation.